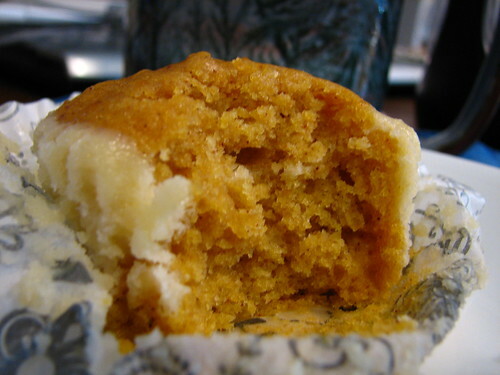 For breakfast on the first day of school, I used this recipe for Pumpkin Cream Cheese Bread to make muffins. Spicy, moist and delicious. Thumbs up from everyone! Makes 20 regular sized muffins. 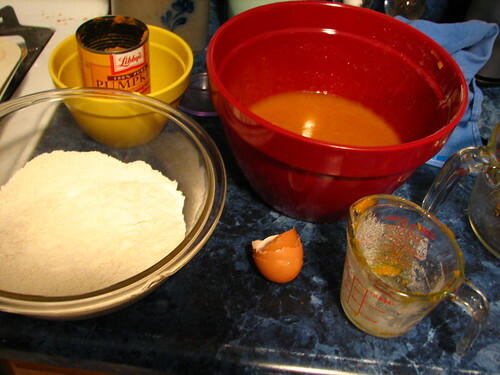 Pour the flour mixture over the wet ingredients and stir until blended. 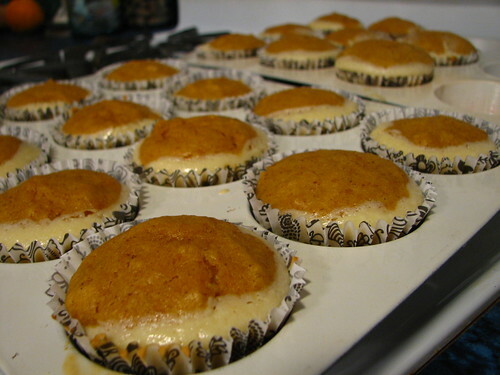 Line regular sized muffin tins with cupcake liners. I used my small scoop to put batter in the liners. At this point, I should have swirled the cream cheese filling into the batter, but I didn’t. 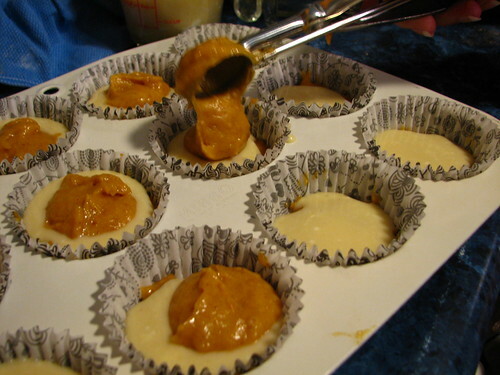 The filling will be better incorporated if you take a knife and give the batter a short twirl. Bake at 325* for 25 minutes. They smell delicious while baking. When cooled, you can add a glaze, though we didn’t bother. Moist and spicy. Like pumpkin pie in a cake. And they’re off! 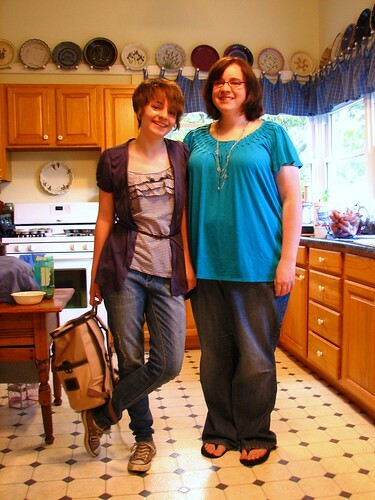 One to her first year of high school and one beginning her pursuit of a Masters in Business. 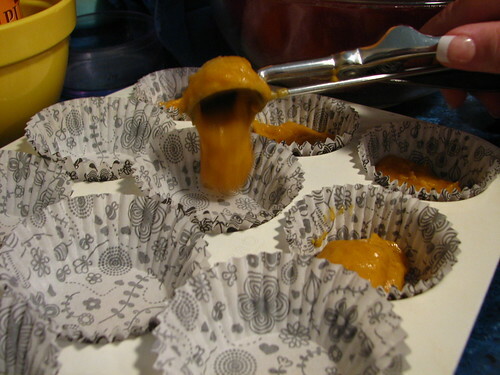 This entry was written by ~~Rhonda, posted on August 21, 2012 at 9:30 am, filed under Recipes. Bookmark the permalink. Follow any comments here with the RSS feed for this post. Post a comment or leave a trackback: Trackback URL. Lovely girls. Muffins sound yummy! 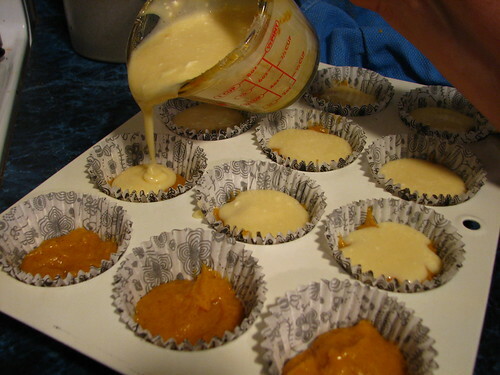 I can’t wait to try these muffins, but I don’t have pumpkin puree. Can I use canned pumpkin? My three year old granddaughter started preK today and we watched her get on the bus with excitement. I hope it lasts. Love the picture of your girls. Spicy, moist and delicious. Exactly what I want my muffins to be! Thanks for sharing your recipe. 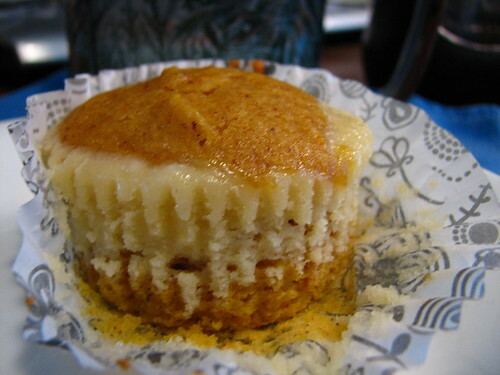 This would be my first time making this muffin. Wish me luck.